What keeps a brand strong in today’s marketplace? To be a strong effective brand the brand must first deliver a Believable Brand Story, or statement. It must reflect the true purpose of the product / service / company. It must Connect with your core audience in a way that is consistent with the attributes you feel impact your audience, and reflect most positively on how they perceive of themselves through the purchase of your brand. A brand must be Consistent wherever the brand connects, influences, or touches the consumer throughout your internal and external communications and points of contact. The strongest brands out there consistently reflect in their visuals, their words, their brand statements, their customer service, their events, their marketing, etc… a very clear message to their consumer. This is critical and of high importance to The Page Group’s process. A brand should present a Unique Promise that differentiates itself from its competition, and it should prevent the brand from being absorbed into a commodity classification with its competitors. It must be able to stand on its own. It must be Relevant. It must be Unique. It must be Timely. It must be of interest to your core audience. In today’s world it is more about creating a Brand Connection with your customer, which requires creating an “Emotional Connection” with them, or a “Lifestyle Connection” with them. When this happens it becomes very obvious to them why they support your brand and its promise. It must become a Company Wide Philosophy that is adapted and understood by everyone in the organization. If service is part of your core strategy and the customer service department takes six weeks to respond to a problem is that consistent with your message??? If quality, image, and top of class are attributes that reflect your packaging, trade show booth, or shipping containers then we can make them shine? And it should Engage your customer to become connected with the Brand more closely than with your competition. 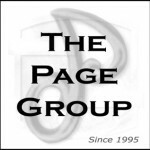 The Page Group works as a strategic partner with our clients to give them an outside perspective that helps to establish a forum for openly discussing and implementing new and more finely focused business and brand strategies. During this process, of paramount importance is the research, internal employee and senior management discussions, visits with outside vendors, retailers, and various channel partners from The Page Group to gain a better understanding of how the market responds to your brand. Having a thorough review of these area’s once again gives the brand holder an opportunity to thoroughly evaluate how consumers are influenced by your brand, and how we can successfully and consistently produce a tactical execution delivering substantial royalties and enhanced brand awareness.